Founded in 1985 to provide comprehensive management and consulting services to managed care organizations and other administrative services related to employee welfare and health benefit plans, we have a deep-rooted passion for exploring a wide array of market opportunities. As the healthcare industry evolved, including the Medicare, Medicaid, and commercial insurance sectors, we shifted our corporate strategy away from consulting and administrative services. In 2010, through our acquisition of Pulse Systems, we began providing contract manufacturing services to the medical device industry. 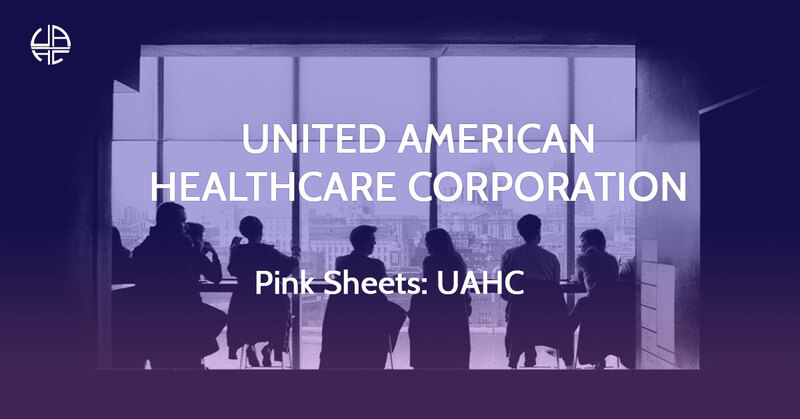 In 2017, in line with our corporate vision of continually expanding our operations in ways that enhance shareholder value, our leadership launched UAHC Ventures. UAHC Ventures was created to pursue strategic investment opportunities in promising growth industries, such as blockchain technology and digital currency. Upon identifying a unique opportunity to join a fast-growing industry at the right moment, we formed our first strategic partnership and began paving the way towards a new era of operations. With $2 million already invested, we are committed to further exploring potential value-adding opportunities as they arise. Investing in emerging technology has always been one of our most important ventures. At Pulse Systems, we invest the human and capital resources needed to secure our place as a leader in medical device manufacturing well into the future. With a focus on precision laser machining and the processing of thin-wall tubular metal components, sub-assemblies, and implants, we deliver exceptional customized solutions, quality, value, and service to our customers. American Sustainable Rubber Company (ASR) is passionately pursuing large-scale domestic production of natural rubber through genetically modified dandelions to help satisfy America’s massive demand. ASR is currently modifying the T.K. Dandelion to support commercial growth and harvesting. Ultimate success in this venture will reduce America’s dependence on foreign rubber suppliers, through which the U.S. is exposed to geopolitical risks as well as environmental factors. ASR relishes the prospect of creating a profitable, useful, and environmentally-conscious business model that fills an economic and social need. Transfer Agent: West Coast Stock Transfer Inc.